Biancone is a soft white marble with light veining. 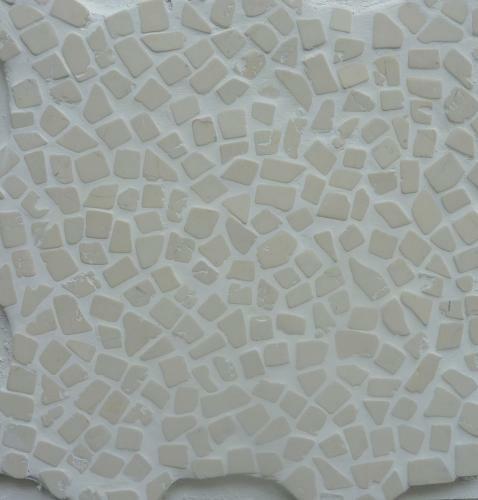 The mosaic consists of random sized individually tumbled chips which are wonderfully tactile on a mesh backed sheet 300x300mm. It is suitable for all surfaces indoors and out, including bathrooms, courtyards and entry ways.